Islamabad, January 29: When they say hard work pays off, it really does! 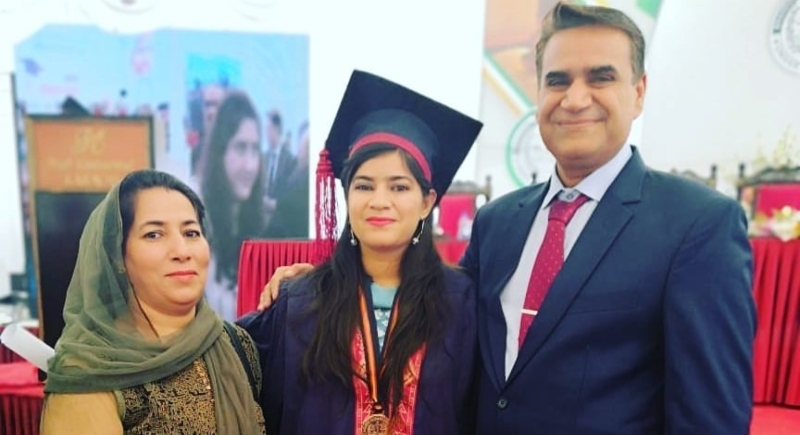 Hailing from a Hindu minority community in Pakistan, Suman Pawan Bodani, has made her place significant by becoming the first ever Hindu Female Civil Judge. Daughter of Dr. Pawan Podani, Suman belongs to the rural area of Shahdadkot in Sindh. She stood 54th in the merit list for the appointment of civil judge and judicial magistrate. Excelling beyond all obstructions to build a career that she had always dreamt of, she passed her LLB. examination from Hyderabad and did her master’s in law from Karachi's Szabist University. Pawan Kumar Bodan, her father, said Suman wants to provide free legal assistance to the poor in Qambar-Shahdadkot. Bodan is an eye specialist while Suman’s elder sister is a software engineer and other sister is a chartered accountant. This is not the first time that a person from the Hindu community has been appointed as a judge. The first judge from the Hindu community was Justice Rana Bhagwandas, who served as the acting chief justice for brief periods between 2005 and 2007. Hindus make up nearly 2 per cent of Pakistan’s total population and Hinduism remains the second largest religion in Pakistan after Islam. The Hindu community has been facing many challenges over a long period of time. With this, the Hindu community is taking a step towards changing their status of a minority group.